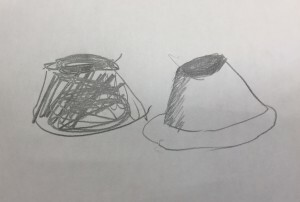 名古屋市昭和区の英会話スクールBigBowEnglishLab > ブログ > Black pudding?!? What’s that?? 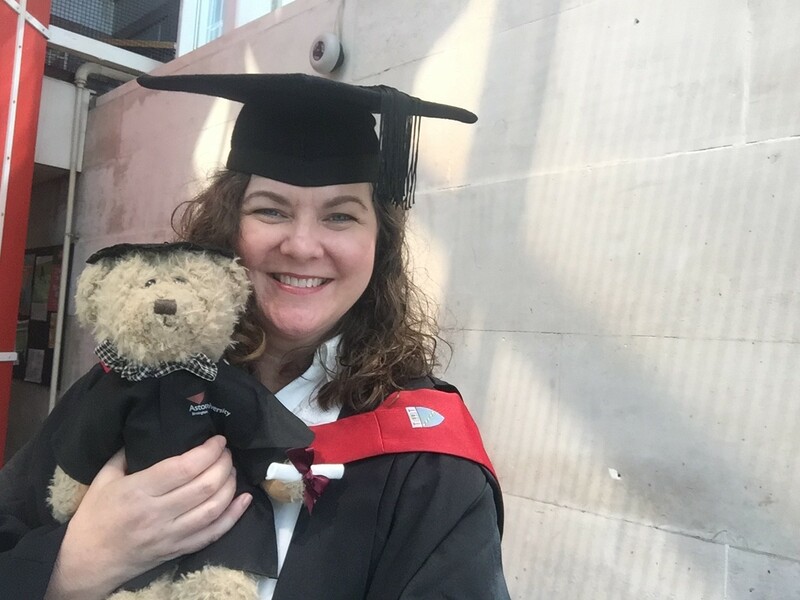 After three years of very hard work, I graduated from Aston University’s Distance Learner’s Program with a Master of Science in Teaching English to Young Learners. 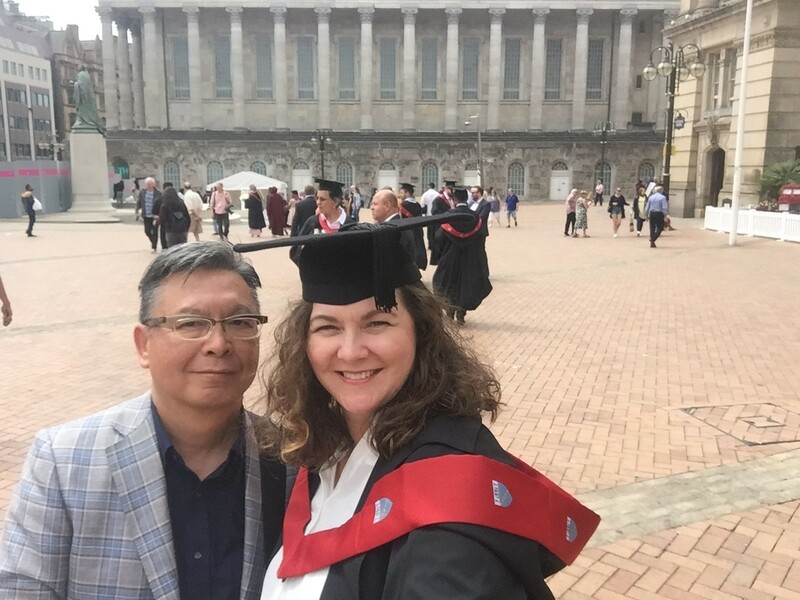 At first, I didn’t plan on attending graduation in Birmingham, England. In the end, I’m very happy I decided to go. It was wonderful to meet my professors and fellow students in person after only communicating by email and Skype for so many years. 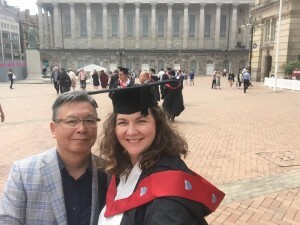 People have asked me why I decided to get my master’s, as I do not plan on teaching at a university. My main motivation was to learn all I could to make BIG BOW English Lab the best it could be. I learned so much about the best ways for children to learn grammar and become motivated to read on their own. Visiting England was a lot of fun. There wasn’t much time to sightsee, but we got to see London, Windsor Castle, Oxford, and Stonehenge. However, the most interesting part was experiencing daily life in England. Even though I am from an English-speaking country, I still had occasional communication difficulties because of people’s accents or the differences between American and British English. For example, I learned that coach means bus, till means cash register, and marquee means party tent. The most surprising difference was learning what black pudding was. Have you ever tried this before? We had some for breakfast and were very surprised to learn it is blood sausage, mixed with oatmeal. After we returned to Japan, I created a lesson about these words and asked the students to draw a picture of what they thought black pudding would look like. 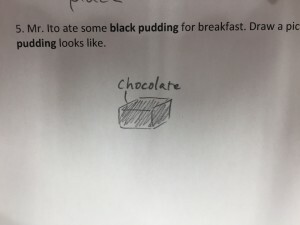 Most students drew something that resembled the Japanese idea of pudding, but then colored it black. 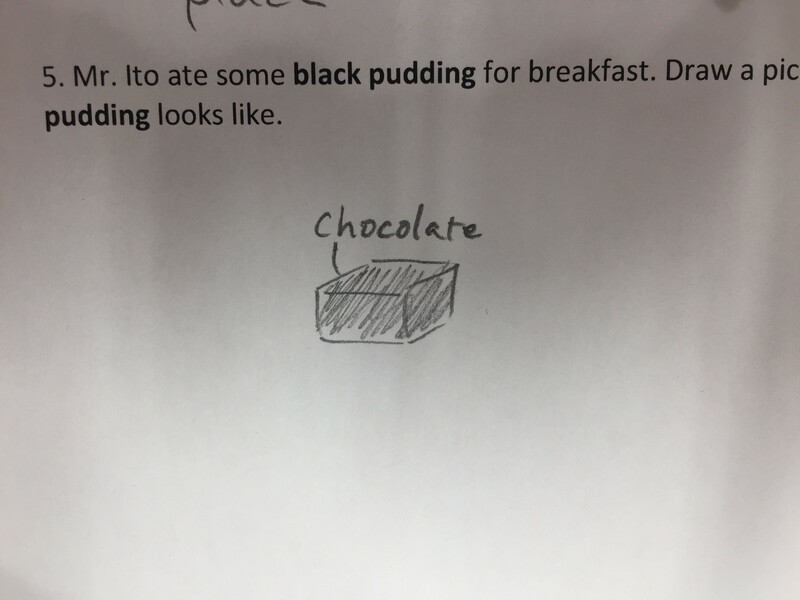 One student thought it would be made of chocolate. They were very surprised to discover that it was breakfast sausage!